Winter will be over in just a few weeks, and we can’t wait to wear our spring clothes! 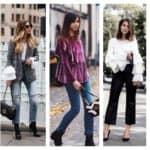 Are you struggling to put on some of your lovely spring pieces already? Me too! Especially the denim jacket! 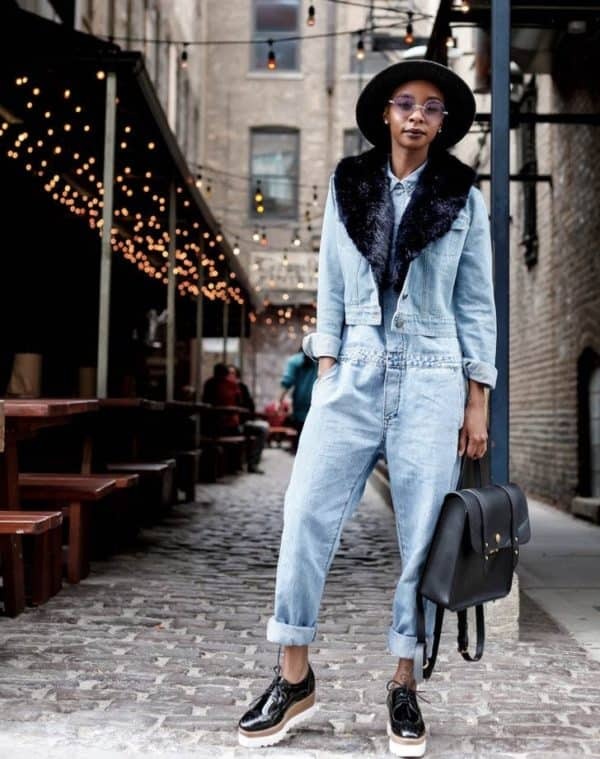 There are so many ways in which you can combine and wear your denim jacket in winter, so don’t be desperate but scroll down to find the ways how you can do it. I’m going to show you How To Wear Your Denim Jacket When The Temperatures Are Still Low, so you don’t have to wait for spring anymore. Put on your favorite jacket and make a statement and get some style points on your account. 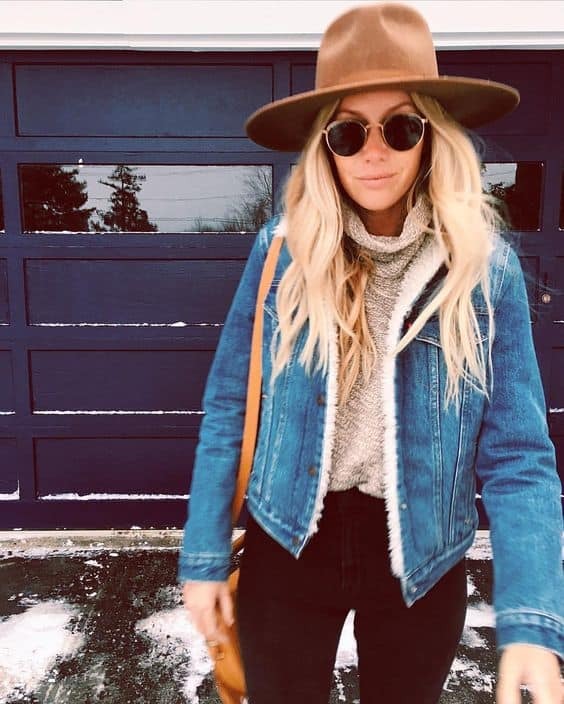 The denim jacket is a staple piece that can be worn all year round, and it looks super cool during all of the seasons when styled in the proper way. Check out how to style yours in winter and look really chic and fashionable everywhere you go! 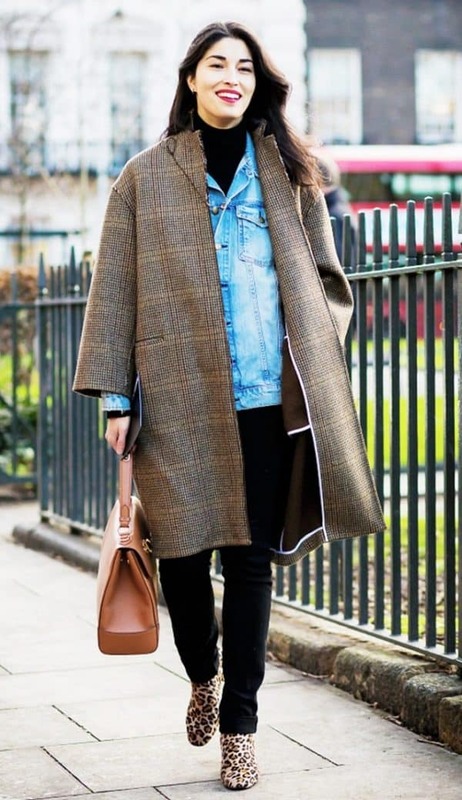 Layering is the key to feeling warm and fashionable at the same time in winter while wearing your denim jacket. Make sure you have plenty of clothes under it, so you don’t get cold and sick during the chilly days. Some denim jackets come with fur, so if you are lucky enough to have bought one with it, feel free to wear it in any way you want. The fur will keep you warm in winter, and when the sun comes out in spring you can just take it off and continue to rock your jacket with your spring combos. Has it ever occurred to you that you can wear your denim jacket under some wool cardigan or your winter jacket? 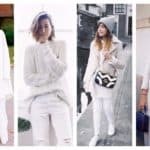 This is a great way to layer clothes in winter, and we have to admit that the outfits looks totally cool! 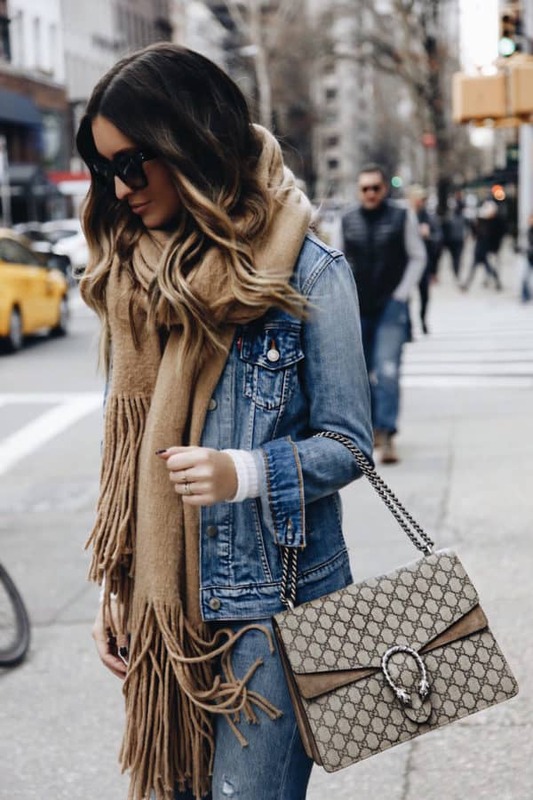 Don’t forget your big scarves when you are styling your denim jacket in winter. They will spice up your look and will protect you from the freezing temperatures. 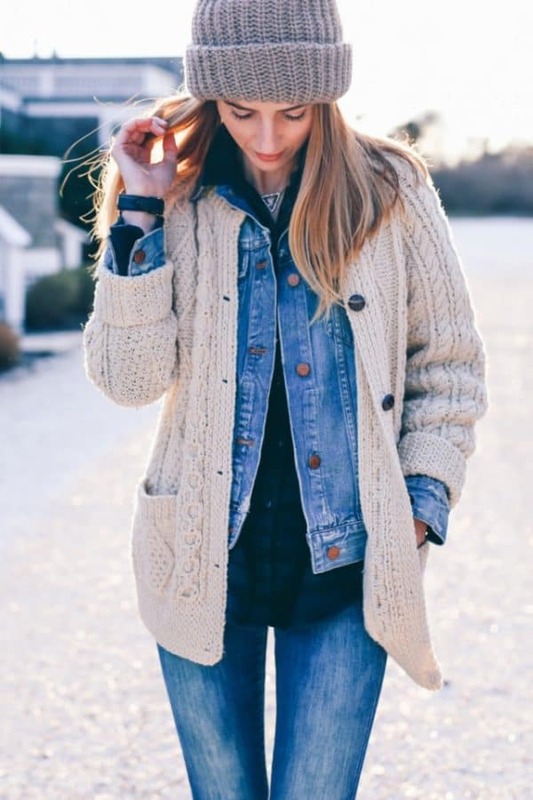 Put a shirt under your sweater and then your denim jacket on top and you are ready to go. Not only that you will look stylish and chic but you will also feel warm as well! 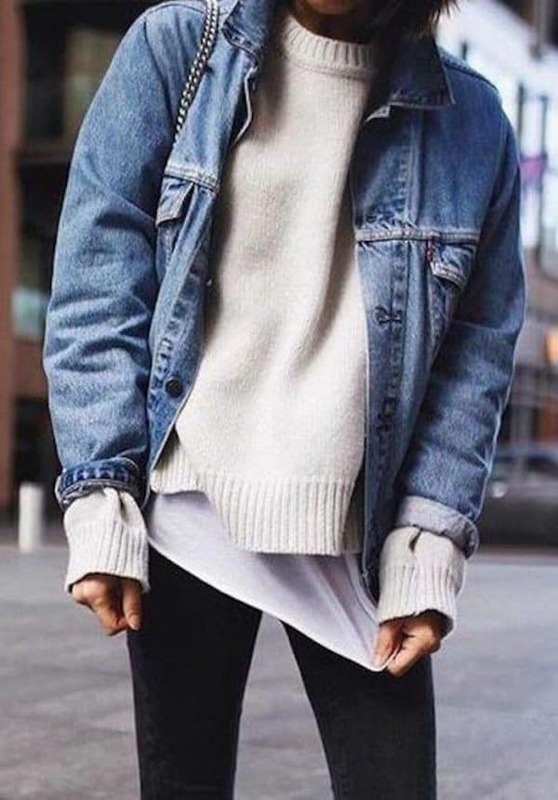 What are the ways in which you style your denim jacket? Feel free to let us know in the comments below!